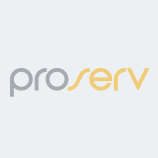 Proserv SGC Metering provide the complete metering solution: independent system design, build and installation, specialising in fiscal and custody transfer metering systems, to meet the most stringent of technical requirements. Established in 1988 SGC Metering have over 30 years’ experience in system integration and delivering metering control systems on a global scale. We offer lifetime metering support and have a team of experienced on-site technical experts at hand to solve any in-situ metering system problems that may arise. With over 200 systems worldwide we are focused on delivering tailor made solutions to our clients, using a variety of industry standard products, providing the most cost efficient solution for metering.